Pura Campuhan Windhu Segara is located in Padang Galak (north of Sanur), Kesiman, East Denpasar, Bali. The word "campuhan" in Balinese means mixing or meeting. 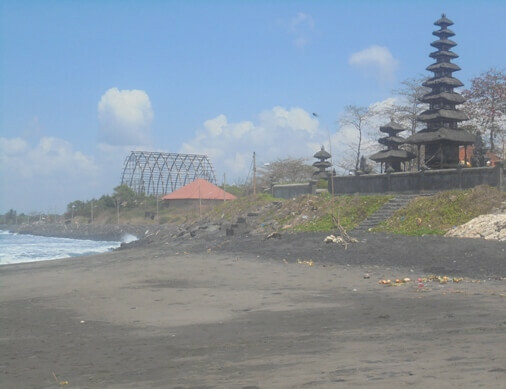 This temple is situated on the edge of the estuary which is a mixing or meeting between the Yeh Ayung River and the edge of Padang Galak Beach. To reach this place visitor can drive the vehicle up to the parking area in the temple yard. Visitors are only charged for parking fee at the entrance. 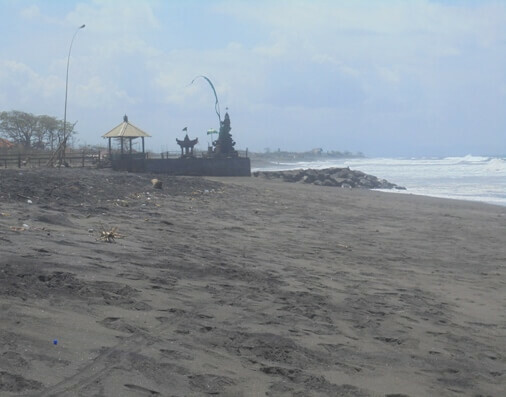 You can also walk while enjoying the ocean view along the track on the beach revetment. A couple facilities such as food stalls, parking vehicles, and cleanliness facilities also take part in supporting the temple. 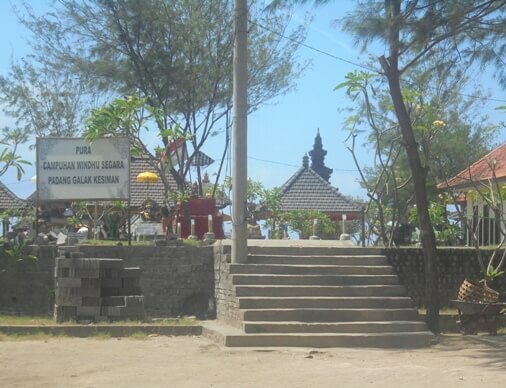 This temple became a destination for spiritual lovers to pray, melukat (purification), and other ceremony such as Ngangkid and Nyegara Gunung. People will come wearing traditional costumes and bring the offerings (pejati) for praying. Visitors who intend to do purification usually bring "bungkak nyuh gading", a young coconut with yellow-orange colored. It is advisable to store the jewelry and valuable items in the car or motorcycle seat to avoid the risk of loss and exchanged. The temple is quite shady, shrouded in a calm and peaceful atmosphere. 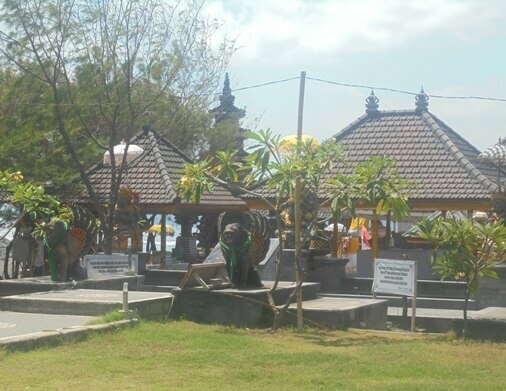 There are several shrines such as Pelinggih Dewa Baruna (Kanjeng Ratu), Padmasana, Dewi Durga, Siwa-Buddha, Dewi Kwam Im, and more other. The roar of the waves, the cool sea breeze and the smell of incense blend harmoniously and created a spiritual and mystical atmosphere. 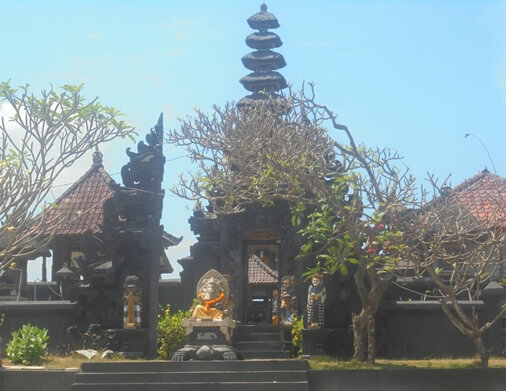 In the south, Pura Dalem Segara Taman Ayung stands majestically with high artistic value. The main building is Meru Tumpang Sembilan (9 storey Roofed Temple) and Meru Tumpang Tiga (3 storey Roofed Temple), with a combination material of wood and sugar palm fiber (fibers).